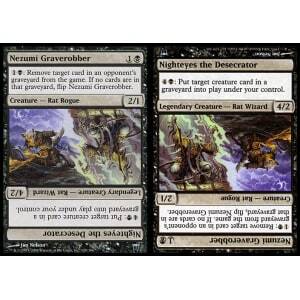 : Remove target card in an opponent(s graveyard from the game. 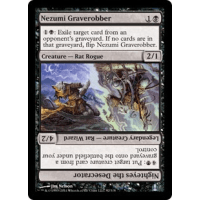 If no cards are in that graveyard, flip Nezumi graverobber. 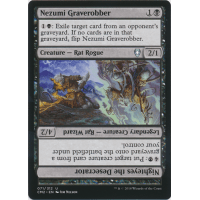 : Put target creature card in a graveyard into play under your control.